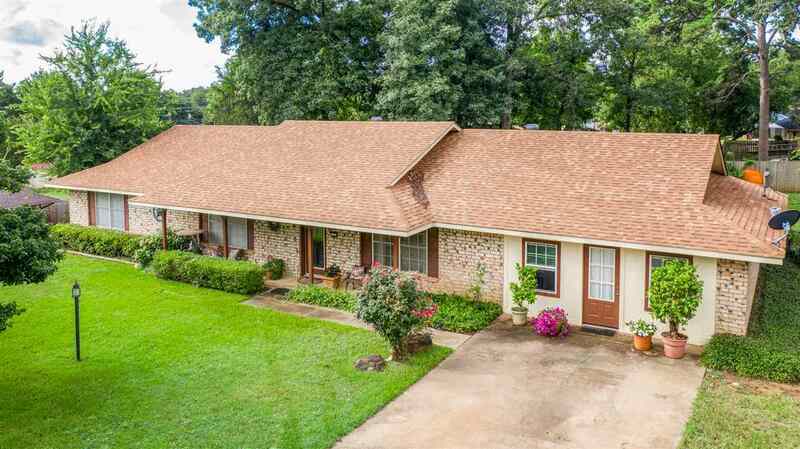 2205 Woodbine, Gladewater, TX.| MLS# 20191742 | Tracy McKnight of Gladwater Real Estate (903) 812-2183 | Gladewater TX Real Estate | Contact us to request more information about our Homes for Sale in the Gladewater TX area. IMMACULATE LAKE AREA HOME. HUGE ROOMS AND RECENTS UPDATES. PAINT, FLOORING, ETC. ENCLOSED GARAGE FOR A 4TH BED/BATH OR ADDITIONAL LIVING SPACE. OUTDOOR HOT TUB COULD BE NEGOTIATED. THIS STREET IS SO MUCH FUN. BLOCK PARTIES, 4TH OF JULY GATHERINGS TO WATCH THE FIREWORKS. THIS AWESOME HOME IS READY TO RAISE IT&apos;S NEXT FAMILY. DON&apos;T WAIT, HIGHLY SOUGHT AFTER AREA!